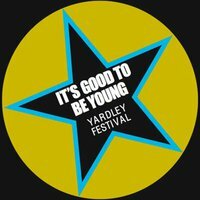 The Yardley Festival is a week long programme of events for children and young people running during the October half term week – 23rd to 30th October. http://www.igtby.com or you can phone 07917 172554. Details are also available on Facebook. Most activities need to pre-book so make your choices and get booking now! This entry was posted in Events and tagged children, costa, football coaching, half term, its good to chill, October, street dancing, Yardley activities, Yardley Festival, Young people, Youth Club. Bookmark the permalink.